Rob Knight, PhD, is the founding director of the Center for Microbiome Innovation and a professor of Pediatrics, Bioengineering, and Computer Science & Engineering at UC San Diego. Before that, he was a professor of Chemistry & Biochemistry and Computer Science in the BioFrontiers Institute of the University of Colorado at Boulder, and an HHMI early career scientist. 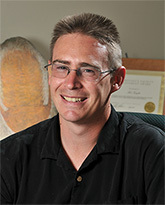 Rob is a Fellow of the American Association for the Advancement of Science and of the American Academy of Microbiology. He received the 2017 Massry Prize for his microbiome research. In 2015, he received the Vilceck Prize in Creative Promise for the Life Sciences. He is the author of Follow Your Gut: The Enormous Impact of Tiny Microbes (Simon & Schuster, 2015) and coauthor of Dirt is Good: The Advantage of Germs for Your Child's Developing Immune System (St. Martin's Press, 2017), and he spoke at TED in 2014. Rob's lab has produced many of the software tools and laboratory techniques that enabled high-throughput microbiome science, including the QIIME pipeline (cited over 13,000 times as of this writing) and UniFrac (cited over 7,000 times, including its web interface). He is co-founder of the Earth Microbiome Project, the American Gut Project, and the company Biota Inc., which uses DNA from microbes in the subsurface to guide oilfield decisions. His work has linked microbes to a range of health conditions, including obesity and inflammatory bowel disease; has enhanced our understanding of microbes in environments ranging from the oceans to the tundra; and made high-throughput sequencing techniques accessible to thousands of researchers around the world. Rob can be followed on Twitter (@knightlabnews) or on his website: http://knightlab.ucsd.edu/.